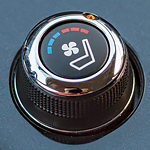 Modern vehicles need to have the latest and greatest technology to keep drivers connected. The 2018 Nissan Rogue is a popular SUV that lets you communicate without taking your hands off the wheel. In large vehicles, going up or down a hill can be a tricky task. Luckily, the 2018 Nissan Pathfinder has the technology to get you to the other side safely. This popular seven-passenger SUV is equipped with Hill Start Assist and Hill Descent Control. If you are in the market for a luxury sedan, then the Nissan Maxima is the right choice. This popular sedan looks and feels like a luxury car but without the high sticker shock. Couple that with responsive driving capabilities, and you have a car that will deliver power along with a smooth ride. The Nissan Armada is one of the most popular full-size SUVs on the market today. It is a powerful vehicle with remarkable safety and performance features. One of these features that never fails to impress our visitors here at Priority Nissan Williamsburg is the Intelligent 4x4. It constantly senses road conditions and is capable of automatically shifting from two-wheel drive into four-wheel drive on the fly. This can keep you safe while driving during rain or snow storms. If you are interested in the 2018 Nissan Altima, you will be pleased to know the vehicle is a popular choice among consumers whom are in the market for a midsize sedan. The 2018 Altima comes loaded with a wide range of features that include innovative interior technology. We invite you to read further to learn more about the 2018 Nissan Altima’s interior features. The 2018 Altima comes with zero gravity seating. This feature was inspired by the weightless position of astronauts in space. The front seats are large and provide ample support to help drivers avoid fatigue. What is your Nissan Titan capable of? Our team at Priority Nissan Williamsburg know how much you depend on your truck to get the job done. 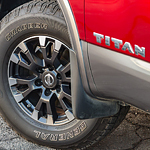 That’s why we’re excited to introduce the Titan, one of our popular full-size pickup trucks. A strong and durable foundation helps to build a solid truck for the job. That’s why the Titan is built on a high strength, full-length ladder frame for added strength. The Nissan Rogue is all new for 2018. Drivers are raving about the new design and incredible safety features that have driven the SUV into the top 10 lineup for compact SUVs. With smoother handling and all-around great pickup, the Nissan Rogue also provides a lot of fuel economy that you won't see in other SUVs. Nissan also developed the SUV to have new driver assistance features that make it easier for the driver to get around corners, stay aware of other drivers, and avoid accidents. 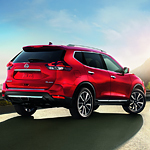 Nissan has re-engineered its Pathfinder lineup and found a great balance between power and fuel efficiency. 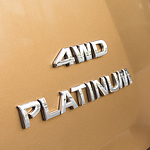 While it's ranked as one of the top midsize SUVs for value, the Pathfinder delivers power in the standard model easily. You get 284 horsepower from a 3.5-liter V6 engine in the base Pathfinder. However, you can upgrade to get more power with some of the higher trims. The 2018 Nissan Maxima is a vehicle that brings a lot to the table both inside and out. You get plenty of power under the hood, this vehicle handles the road with ease and there are enough safety features and air bags throughout the vehicle that you will feel safe getting behind the wheel and putting your family in the back seat. 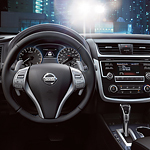 When it comes to the interior features of the Maxima, you get luxury coupled with affordability. You have probably heard about conventional motor oil and synthetic motor oil, but you might not understand the difference. We love sharing our knowledge with neighbors like you.